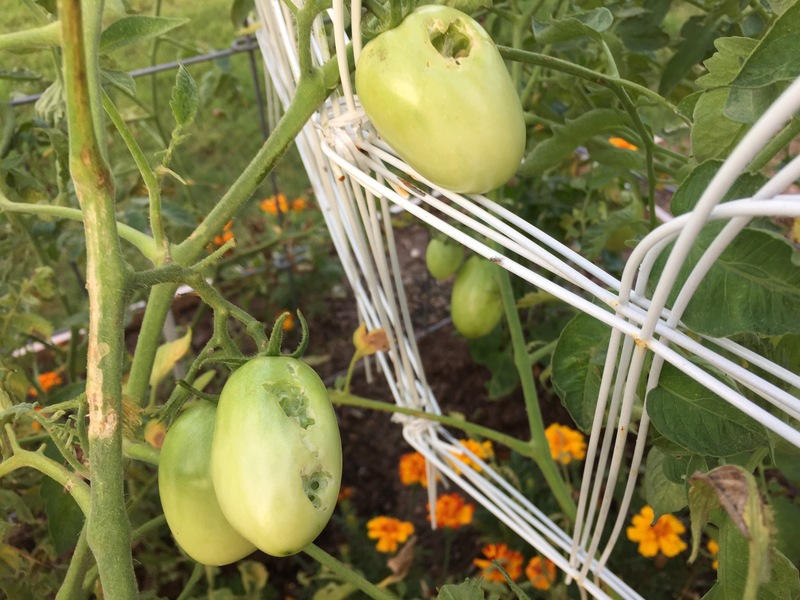 For the last month, I thought the birds were pecking away on my tomatoes, leaving them pocked with a hole here and there. Tonight, though, it was worse, with half of the bigger tomatoes with holes this size. I saw this bug last night, but it got away, only to reappear today. It did not escape my wrath tonight. 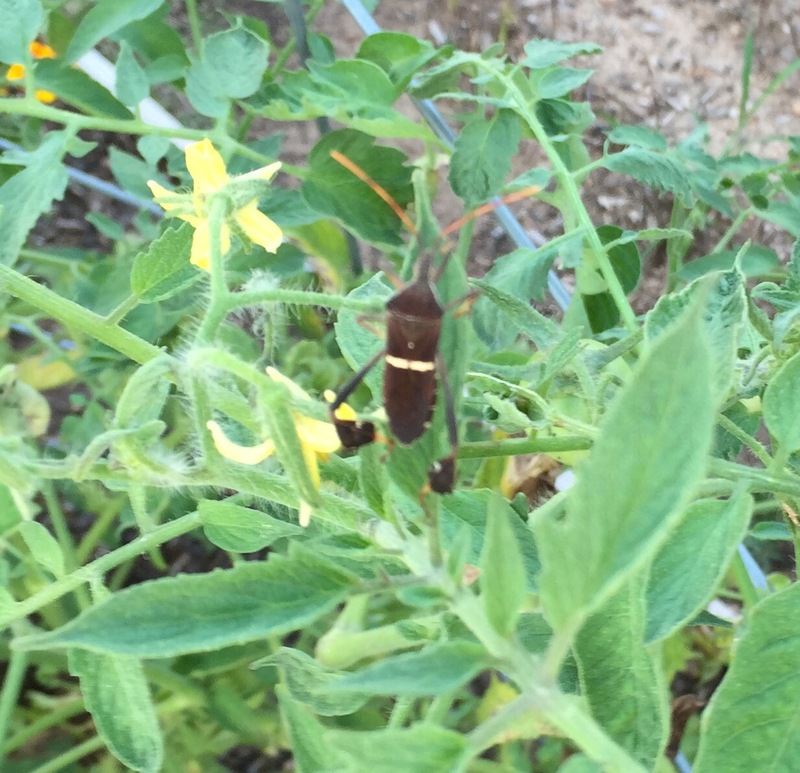 A little time on the internet tells me it’s the leaf-footed bug, which I don’t recall seeing in Wisconsin. I’m not sure if it’s totally responsible for the pocked tomatoes, but it’s getting the blame right now. I’ll have to keep a close eye on the ‘maters and dispose quickly of the bugs I find. I hope I can keep it in check or my tomatoes are in trouble. 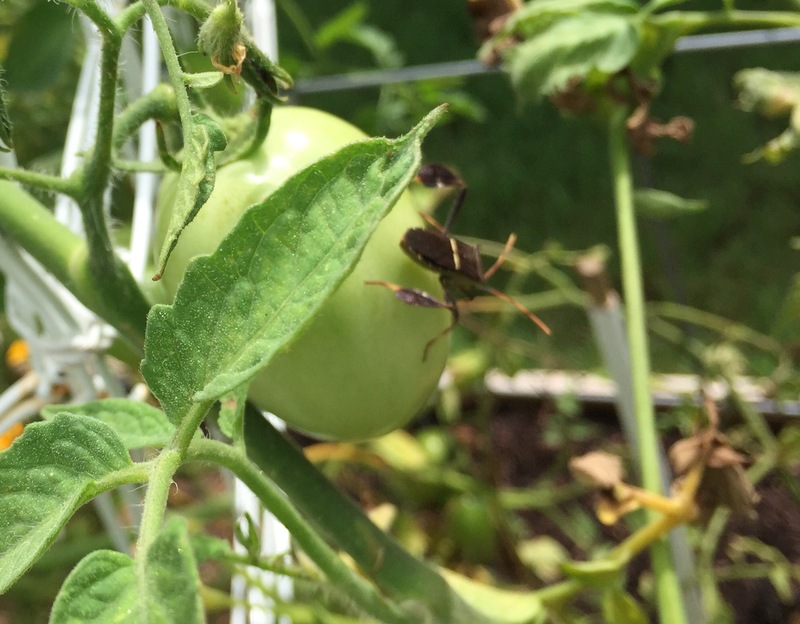 This entry was posted in Gardening and tagged bugs, pests, tomatoes on June 22, 2015 by Julie Riebe. Critters to look for in your garden! Thanks for the reblog Natural Jersey Girl.